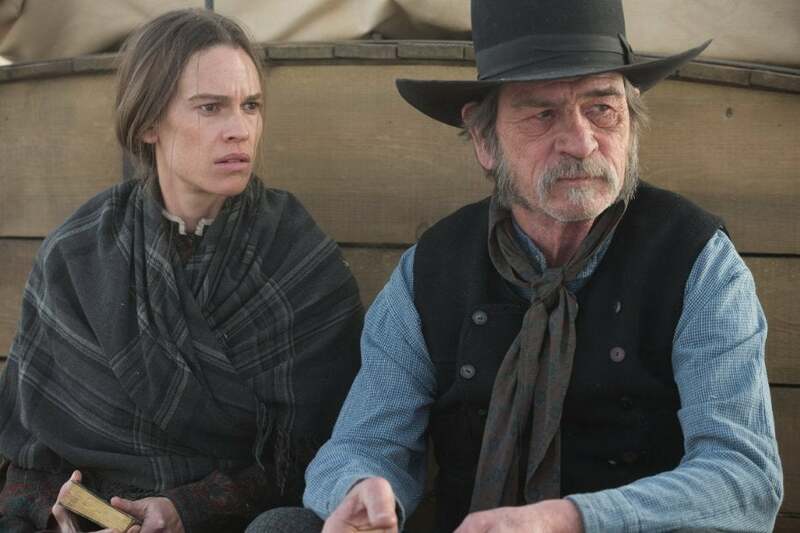 Many of this week’s movies deal with movement, starting with the difficult journey eastward by horse and wagon in Tommy Lee Jones’s The Homesman, while other films include swashbuckling, flying, and dancing. Some filmmakers tackle inner struggles, ranging from an amateur detective watching horrors unfold from a closet hiding place (Blue Velvet), to a soldier struggling with the decision to pull the trigger on a child ( American Sniper); from a film director trying to decide what his next film should be (8 ½), to a disgraced army captain tempted to eat human flesh (Ravenous). Tommy Lee Jones directs his second feature film, following his extraordinary, underrated The Three Burials of Melquiades Estrada (2005), and the result is the equally extraordinary, underrated The Homesman (2014). Based on a 1988 novel by Glendon Swarthout—whose work also provided the basis for the The Shootist—The Homesman tells the story of Mary Bee Cuddy (an outstanding Hilary Swank), an upright pioneer woman in the Nebraska territory who has never married because men consider her “bossy” and “plain.” She volunteers for the dangerous mission of transporting three insane women to Iowa, where they will be cared for. She frees the ragged, uncouth George Briggs (Jones) from a lynching in exchange for his reluctant help. Behind the camera, Jones pieces together many striking images—notably, the three women in the locked, coffin-like stagecoach—crossed against the brutal, hardscrabble landscapes; it becomes a classical Western, but also one with heartbreakingly modern undertones. William Fichtner, John Lithgow, Tim Blake Nelson, James Spader, Hailee Steinfeld, Meryl Streep, and others appear in small roles. Though David Lynch’s masterpiece Blue Velvet (1986) may have seemed like a product of its flashy decade, it’s still amazingly powerful, effective, and relevant. Combining moments of absurdity, surrealism, sexual depravity, horror, and astonishing beauty, it tells the story of Jeffrey Beaumont (Kyle MacLachlan), who returns to his small town, “Lumberton,” when his father falls ill. Walking through a field, he finds a human ear and turns it into the police. Connecting with the lovely Sandy (Laura Dern), the daughter of the detective on the case, Jeffrey’s curiosity gets the best of him. His investigation leads him to a sultry nightclub singer, Dorothy Vallens (Isabella Rossellini), and to a deadly psychopath, Frank Booth (Dennis Hopper), who has kidnapped Dorothy’s child. Jeffrey becomes deeply involved on a sexual, obsessive level, and Lynch somehow balances everything with the logic of a waking dream that occasionally morphs into a nightmare. Dean Stockwell appears in a memorable turn as “Ben,” lip-synching to Roy Orbison’s “In Dreams.” Lynch received an Oscar nomination for Best Director. John Travolta had been a familiar face on TV’s “Welcome Back, Kotter,” but he catapulted into superstardom with this movie. 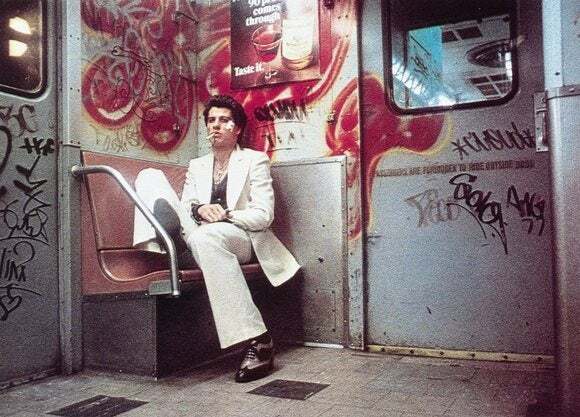 Directed by John Badham, Saturday Night Fever (1977) is set in the grimy realism of Brooklyn, where Tony Manero (Travolta) works in a hardware store, and where violence can erupt at any time. His nighttime visits to the disco are a powerful escape, where his white suit and dance floor moves make him almost like a superhero; the club’s lights and irresistible music are intoxicating, and Tony finds himself torn between two women, the neighborhood girl Annette (Donna Pescow) and the flashy dancer Stephanie (Karen Lynn Gorney). Travolta received an Oscar nomination for Best Actor, and the soundtrack album, featuring music by the Bee Gees, was an enormous hit. Film critic Gene Siskel famously purchased Travolta’s suit at a charity auction. In 1983, Sylvester Stallone directed Travolta in an ill-fated sequel called Staying Alive. The son of impressionist painter Auguste Renoir, filmmaker Jean Renoir is frequently regarded as one of the two or three greatest directors in history (with his film The Rules of the Game routinely topping the list). His landmark film The River (1951) was recently released on a new Criterion Blu-ray disc, but it is available streaming for Hulu Plus subscribers. After some years spent in Hollywood, Renoir became interested in India, and set about adapting Rumer Godden’s novel to the screen. On the surface, it tells the story of a one-legged soldier Captain John (Thomas E. Breen), who visits his cousin near the banks of the Ganges River. Two young white women, who live there while their fathers operate a jute mill, fall in love with him: the naïve, bookish Harriet (Patricia Walters) and the older, more sexually ripe Valerie (Adrienne Corri). But there’s a great deal more going on here, including a dance scene and an almost documentary-like depiction of life along the river, but most notably in the mixed-race character of Melanie (Radha), who struggles to find her place in the world. Yet the world is like the river itself. Its rhythms are unchanging, even as life flows from beginning to end. Martin Scorsese called this and The Red Shoes the two most beautiful color films ever made. This month Hulu Plus is featuring Federico Fellini’s masterpiece 8½ (1963), a film that stands apart from the rest of the great Italian director’s filmography. Like his contemporaries, Fellini began in the years following WWII by dabbling in “Neo-realism,” but eventually his vision grew larger and more fantastic, more dreamlike, using glitz and glamour to underline a gnawing emptiness inside his characters. 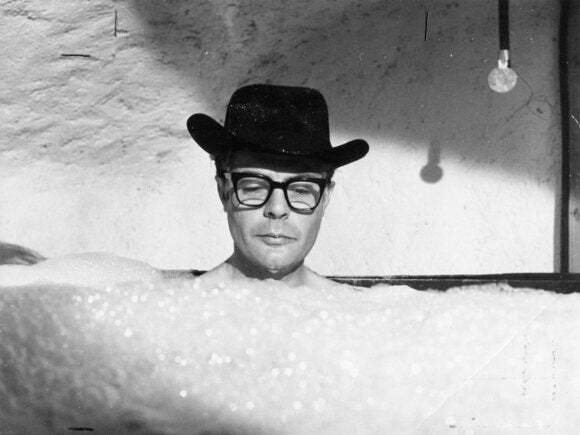 8½ began from a real-life conundrum. After making seven features and one short segment, Fellini found himself stuck for what to do next. Thus, he created the story of filmmaker Guido Anselmi (Marcello Mastroianni), who is endlessly pestered by his cast and crew and the press about the subject of his next movie, but he doesn’t have it. He drifts off into reveries about the many women in his life; some of these dream sequences, such as Guido floating above a sea of stalled traffic, are still astounding. After making the controversial Priest (1994) and a Drew Barrymore romance, the late English director Antonia Bird offered this surprisingly clever, moody, giddily entertaining horror movie. 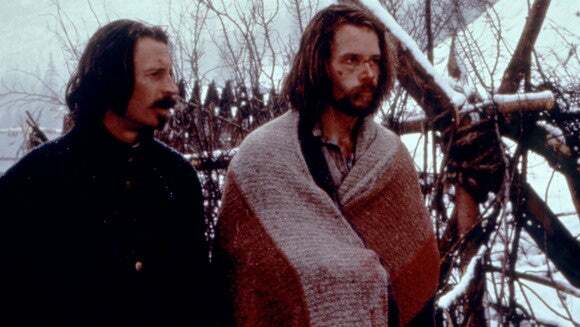 Set in the mid-19th century around the time of the Mexican-American War, Ravenous (1999) takes place at a remote military outpost where Captain John Boyd (Guy Pearce), accused of cowardice, has been stationed. A stranger, Colonel Ives (Robert Carlyle), arrives, telling tales of having survived by resorting to cannibalism. Unfortunately, it turns out that, according to an ancient legend, anyone who consumes human flesh gains incredible strength, but is also cursed with an insatiable desire for more. With David Arquette, Jeremy Davies, Jeffrey Jones, and John Spencer in her cast, director Bird does a remarkable job of balancing a dark strain of humor with genuine, close-to-the-bone (pun intended) horror. A brilliant score by Michael Nyman adds a 1970s flavor. The movie flopped, thanks in part to an awful trailer that painted the movie as an outright comedy, but it has become a cult favorite. Martin Scorsese’s The Aviator (2004) may be structured like a traditional biopic, but it moves with a singular energy and life force that only someone with Scorsese’s skill and enthusiasm can manage. Howard Hughes turns out to be a perfect subject for a film nut like Scorsese; much of the film deals with Hughes’ erratic Hollywood career, including a delicious, Oscar-winning turn by Cate Blanchett as Katharine Hepburn. Then, in the second half, it delves into Hughes’ psychotic breakdown, tangling with his wretched demons with the same level of intensity as Travis Bickle or Jake LaMotta in Scorsese’s earlier masterworks. Editor Thelma Schoonmaker provides many moments of introspection in the 169-minute running time, as well as keeping up a remarkable level of energy. Playing Hughes, Leonardo DiCaprio dives into his role as if his life depended on it, and he earned an Oscar nomination. Alan Alda was nominated for his performance as a crooked senator, though Alec Baldwin is just as good, playing the oily president of Pan Am airlines. The movie received 11 nominations in all, and won five awards. In his mid-80s, Clint Eastwood directed the highest grossing movie of his career. This despite the fact that American Sniper (2014) was hugely controversial, inspiring as many angry articles, blog posts, comments, and editorials as it did ticket buyers. 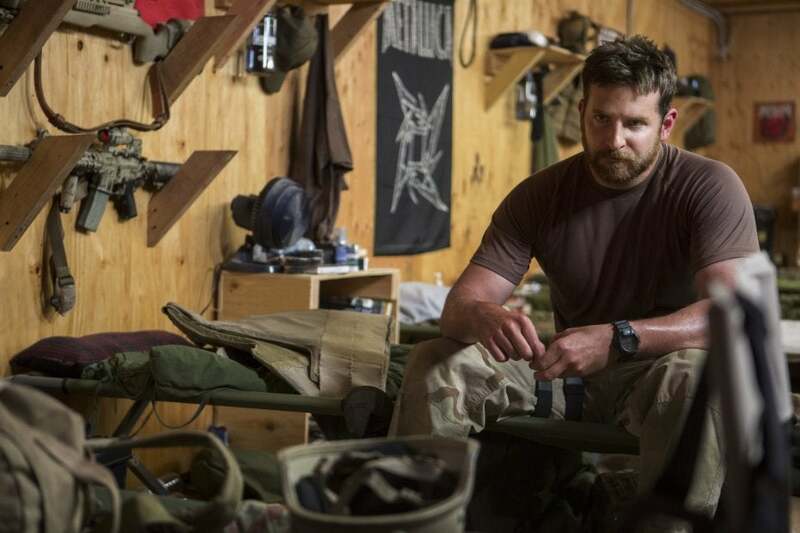 Some accused it of being inaccurate representation of the Iraq War as well as of the movie’s hero Chris Kyle, while others were disturbed about the way it was embraced as a heroic movie, with no regard for its underlying messages. But as a fiction film, it is brilliantly directed, not only showing the war in a lean, uncluttered fashion, but in its frank depiction of the most lethal sniper in military history, Kyle (Bradley Cooper). Kyle singularly believes in the unpopular war, and in the idea that he’s serving his country, but he lives in a world that’s not quite so black-and-white, and his beliefs are sometimes called into question. (It’s similar in many ways to Eastwood’s misunderstood J. Edgar.) In any case, Cooper does an incredible job in his role, and received one of the movie’s six Oscar nominations; it won only one, for Best Sound Editing. Without question one of the greatest movie stars of all time, Douglas Fairbanks remains unequaled in cinema history. Not only was he a dazzling, daring stuntman with incredible charisma and screen presence, but he was also a canny businessman, pushing the boundaries of the film form behind the scenes. He made some of the finest swashbuckling adventure films of all time, many of which can still quicken the pulse—The Mark of Zorro (1920),The Three Musketeers (1921), Robin Hood (1922), The Black Pirate (1926), and others—but Raoul Walsh’s The Thief of Bagdad (1924) tops them all. Working with designer William Cameron Menzies, Fairbanks spent more than $1 million building sets vast enough to contain his expansive onscreen gymnastics as well as dazzling effects, ranging from a flying carpet to an underwater monster. Fairbanks plays the title thief, who falls in love with a princess. To prove himself worthy, he must steal an invaluable object and return with it. Anna May Wong co-stars as a slave girl and nearly steals her scenes away from Fairbanks. Fandor presents this silent-era classic with a beautiful score by Carl Davis.